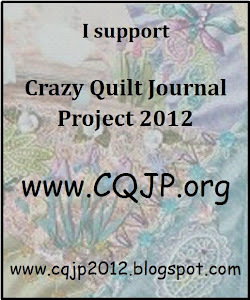 I decided to participate in the Crazy Quilt Journal Project which means sewing one block a month for the year. I will also be taking part in the Take A Stitch Tuesday, which involves using a different embroidery stitch each week during the year. blocks and stitches fairly simple in order to fit my busy schedule. Being retired and living in an RV full time really keeps me busy. 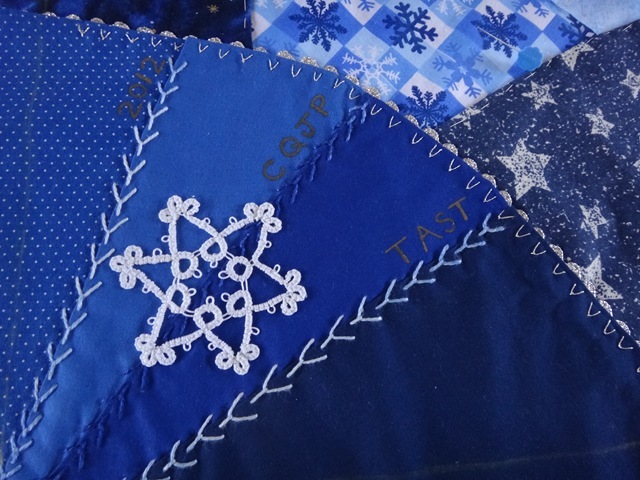 January is here and I have been working on my first crazy quilt block which is a winter block with stars and snowflakes in blues. The first stitch was a Fly stitch. I had never used this stitch before. 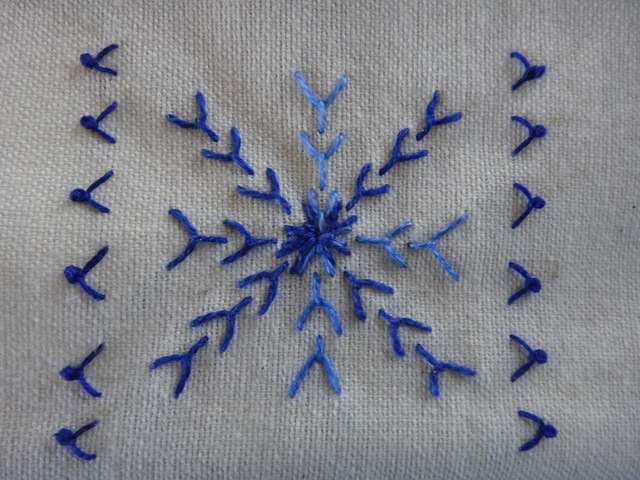 I have only used two variations of the stitch in my sample. I have done a fourth of my Crazy Quilt Block. My blocks will be 12 inch blocks when completed. I have included a white tatted snowflake in the first quarter of my block. This entry was posted in CQJP, Crazy Quilt, Embroidery, Quilting, TAST, Tatting. Bookmark the permalink.